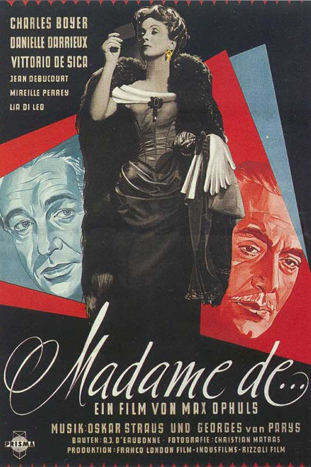 An adaption of Louise de Vilmorin’s incisive fin de siècle novel, Max Ophuls ravishly employs an elegant yet precise effect in his most profound work The Earrings of Madame de… A profoundly emotional, cinematographic and adventurous tale of deception and tragic romance, an aristocratic woman known only as Madame de . . . sells a pair of earrings given to her by her husband in order to pay some debts, setting off a chain reaction of financial and carnal consequences that can end only in despair.